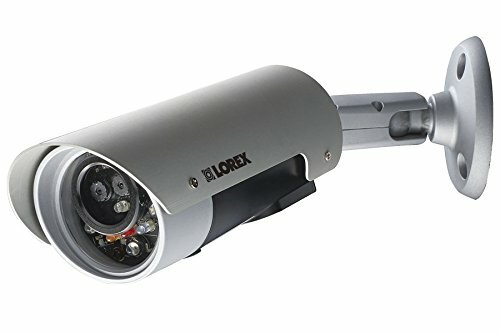 Listen-in to your home or business and capture every sound with the Lorex Super Resolution Weatherproof Indoor/Outdoor Camera with Microphone. The built-in microphone allows you to hear and record the sounds of events around your property, the weatherproof housing allows for both indoor and outdoor installation, and the vandal resistant design with cable pass through bracket protects against the elements and cable tampering. ;;View more of your world, day or night, with the reliable automatic infrared filter technology for clear nighttime video, and antiglare technology ensuring clarity in bright, daytime conditions. 18 infrared LEDs provide night vision of up to 85 feet away in ambient lighting and up to 60 feet away in total darkness. The picture automatically switches to black & white night vision mode delivering great clarity in low light conditions. 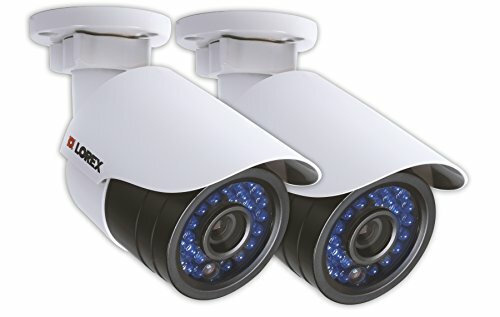 2 Pack of Full HD 1080p outdoor IP security camerasView your world with twice the vision of before with the LNB2153B2PK. 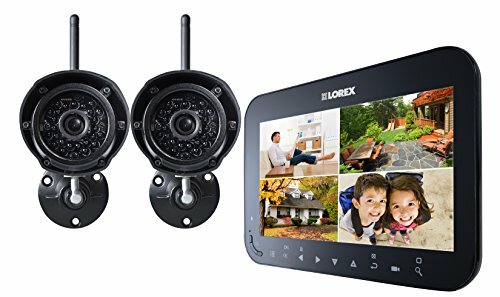 Two cameras with smooth FULL HD 1080p video that take advantage of their outstanding night vision. 3D DNR - Frame-to-frame Digital Noise Reduction combined with Spatial Noise Reduction, delivering a cleaner, more accurate image, with better clarity, sharpness, greater disc space for storage, and improved motion detection. Imagine awareness technology so lifelike that it rivals reality. 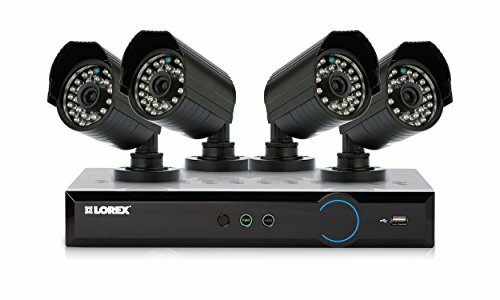 The Lorex LNR300 Series Network Video Recorder NVR brings surveillance recordings to life in HD. Record video in real-time 30 frames per second on up to 4 channels with full 1080p resolution. Don't miss a single detail with the ultimate in recording resolution and picture quality in your corner. 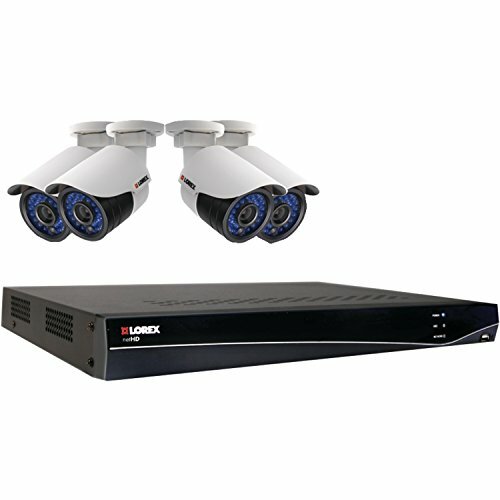 The new LH150 8-channel ECO4 Stratus DVR is the first security DVR of its kind. Access your DVR from anywhere on earth with your computer, tablet, or smartphone. 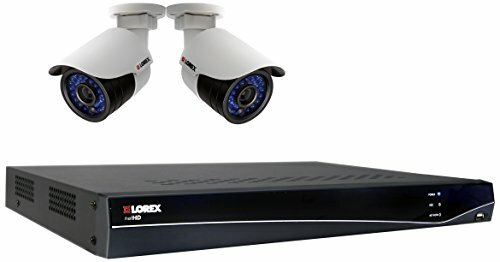 Lorex's industry leading 960H recording resolution ensures high quality live-viewing and recording. 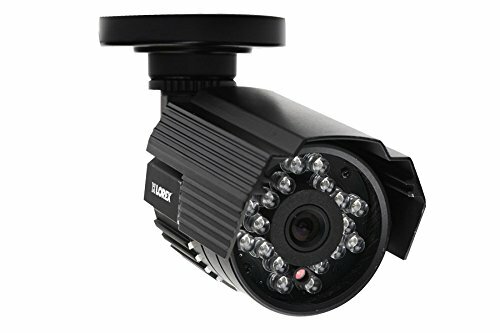 ;;These reliable, high grade cameras are weatherproof with versatile mounting options giving you professional grade surveillance in a wide range of conditions. Super+ resolution image quality is made possible with the Sony EXview II image sensor which delivers highly detailed video at 700 TVL resolution in 960H format. Bright Night viewing is enabled with an enhanced low light image sensor, giving you clear and bright video in low light conditions and in total darkness. 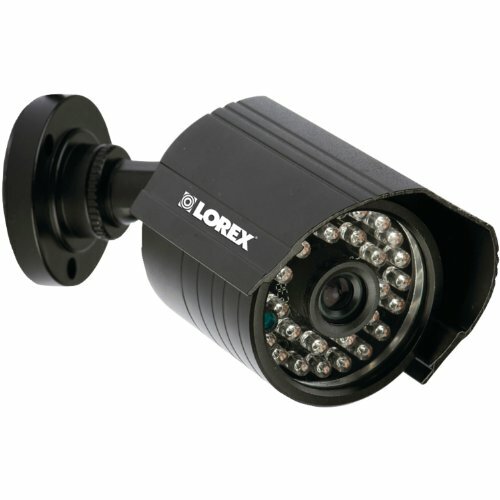 ;;Durable, light and impact resistant, the polycarbonate housing of the bullet cameras is made to withstand the elements. Patented Image Cool technology ensures optimal performance from temperatures of -22 Degree - 122 Degree. Maintain vigilance and experience true peace of mind with the LH160 ECO6 security DVR. Lorex was first to market with the industry leading 960H (960x480) recording resolution that ensures high quality live-viewing and recording. 960H is a 34% increase over standard D1 resolution and a 500% increase over CIF, giving a sharper, non-stretched image with a true-to-life aspect ratio. 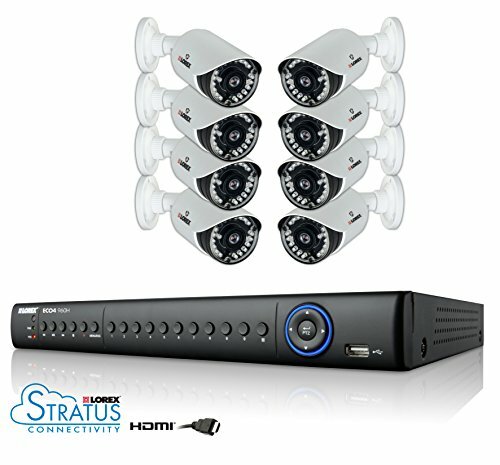 ECO6 features Stratus Connectivity, allowing you to instantly connect to your security system using a smartphone, tablet, PC or Mac. This camera converter changes any wired camera into a wireless camera. Signal Guard ensures optimal signal strength. Free yourself from wires and you can put your cameras anywhere. 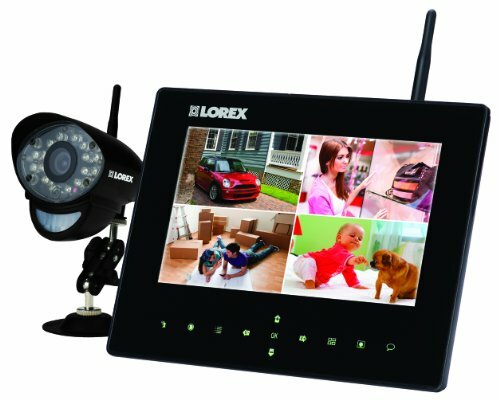 The Lorex LW1740 Series wireless video surveillance system keeps your home or shop secure at all times. This ideal home monitoring system comes with weather-resistant wireless cameras for simplified installation. Security-grade night vision allows you to see objects in the dark up to 65ft (20m) away, and 45ft (14m) away in total darkness. 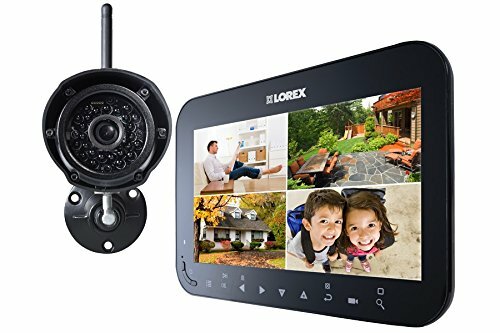 Monitor your home or shop as you move from room to room on the 7" LCD monitor and recorder - view live and recorded video from up to 4 cameras. A built-in rechargeable battery allows for up to 5 hours of portable monitoring. Feather touch controls on the monitor give you complete control of your security system. All video is properly timestamped and recorded to the included microSD card, making it easy to backup important footage. Choose from manual recording for unexpected events, schedule recording to record within set time periods, or motion-triggered recording. 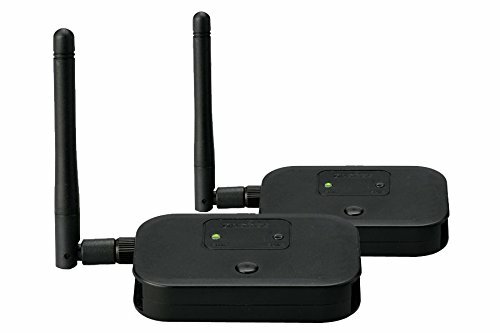 The wireless cameras feature built-in microphones for capturing audio from around the cameras. Listen to make sure the kids are playing nicely, or that the dog isn't whining. 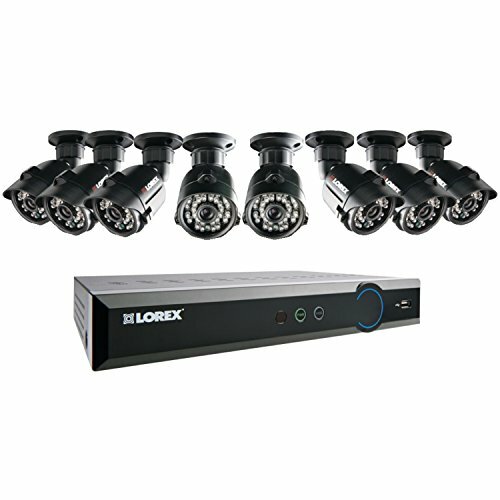 Take advantage of the full range of features this system has to offer by combining motion detection with video and audio monitoring. View what matters in crystal clear 960H, a new standard that allows for high resolution images. 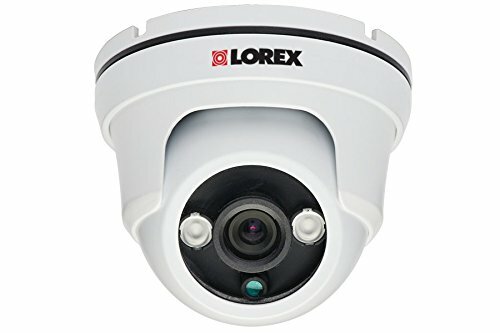 Offering an exceptional night vision range (up to 130ft in ambient lighting and 90ft in total darkness), the LDC7708B features two ProLux IR LED's that provide a longer night vision range and illuminate more evenly.